Powerful. Mobile-ready. Community funded and driven. 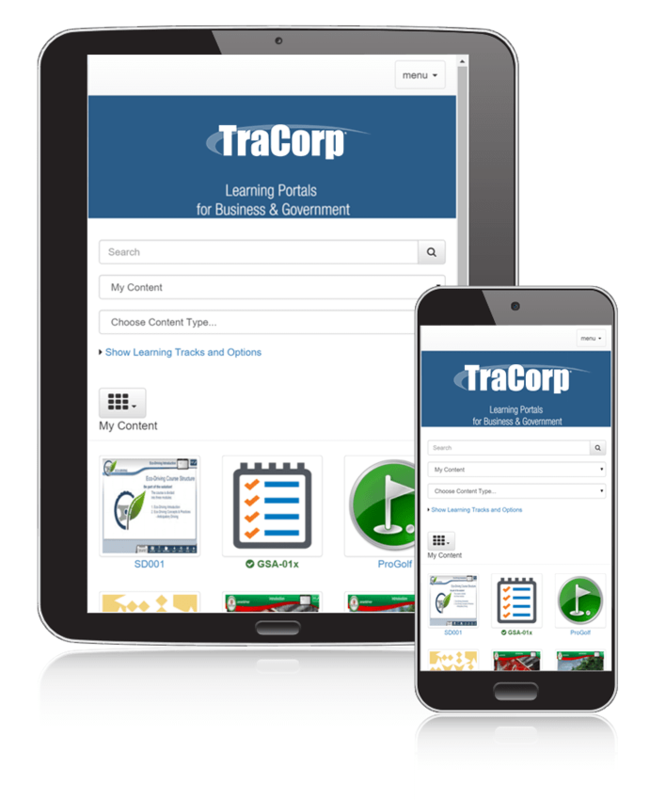 TraCorp and its sister company, The GMarie Group, offer customers an ultra-low cost yet powerful mobile ready Learning Management System (LMS/LCMS). Our customers include single person companies, non-profits, multi-national corporations, and government organizations. The typical implementation time for training and configuration is less than a week, whether starting from scratch over moving your LMS from a high priced competitor. The LMS infrastructure delivers and manages instructional content, identifies and assesses individual and organizational learning or training goals, tracks the progress towards meeting those goals, and collects and presents data for supervising the learning process of organization as a whole. For classroom and webinar content, the LMS also handles course registration, course administration, analysis, tracking, and reporting. 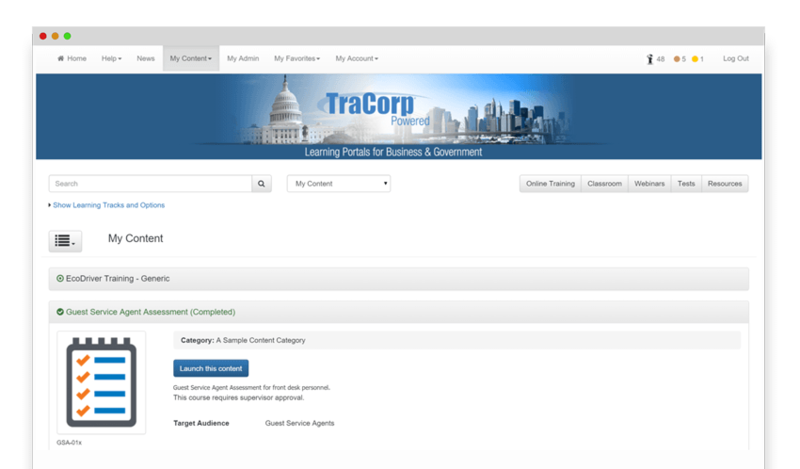 The TraCorp LMS is operated as a community model where the customers drive LMS development by requesting and paying for changes. As changes are completed, the engineering team continuously incorporates the new enhancements to the community LMS at no cost. Customers have a choice whether or not to enable the new changes in their LMS. This 15-year ongoing community model has resulted in a powerful, customer-focused LMS. Since changes are customer funded, they are not amortized into the hosting cost. Due to the community model, hosting costs for our customers have remained very low as compared to other LMS platforms. The example below shows the mobile interface for smart phone and tablets. The LMS uses browser responsive technology to resize the screen and menus to improve the learner experience. Each course, class or digital file such a video or audio is represented in an icon-based system typically delivered as part of a learning track. A TraCorp Visual Communication Specialist works with customers to match the LMS look and feel to their organization’s identity. This process removes stock graphics and replaces them with customer branded imagery. The purpose is to create a rich merchandising/marketing environment specifically targeted for the learning audience. Courses and classes are presented in an “easy to understand” compact format with the course icon, description, duration, progress, prerequisites, viewable/printable certificate and the ability to archive upon completion. Outlook integration allows students to accept request for classroom training seats. Gamification is an important tool to motivate learners. 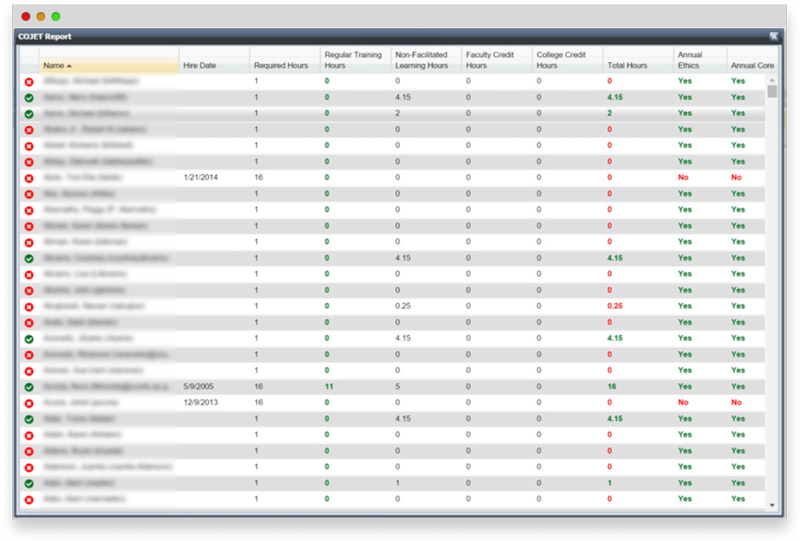 We use badges and a leaderboard to rank and reward leaners across thirty different administrator selectable criteria. 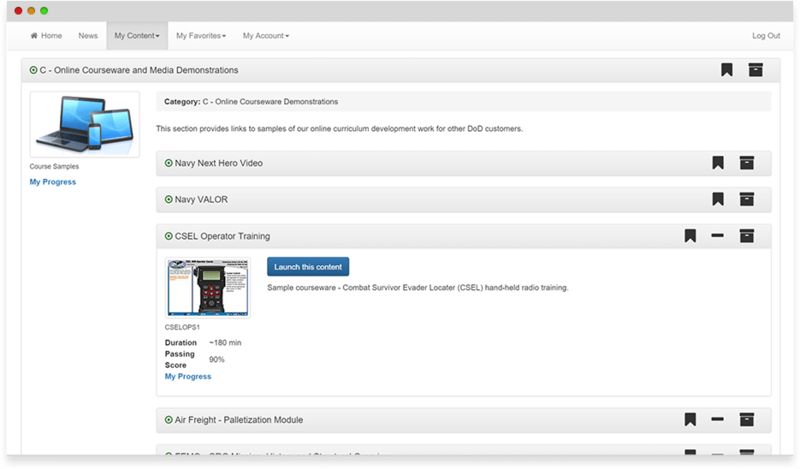 Custom bundles make it possible to blend together different types of training into a single course. For example, an administrator can build a course made up of classroom training, virtual online training, white papers, web links, and digital video followed by an assessment. Rather than assigning all the components separately, custom bundles allow multiple resources to be presented in sequence and assigned as a single, sharable content object (SCO). An example of a custom bundle SCO is shown above. For learners, custom bundling presents all materials, resources, prerequisites and assessments in a single location for easy access in completing the course. Learners can earn certificates for the individual components, for the entire collection, or both. Auto-assignments are the power behind the LMS that let a single administrator or a small team to automate the training for millions of learners. 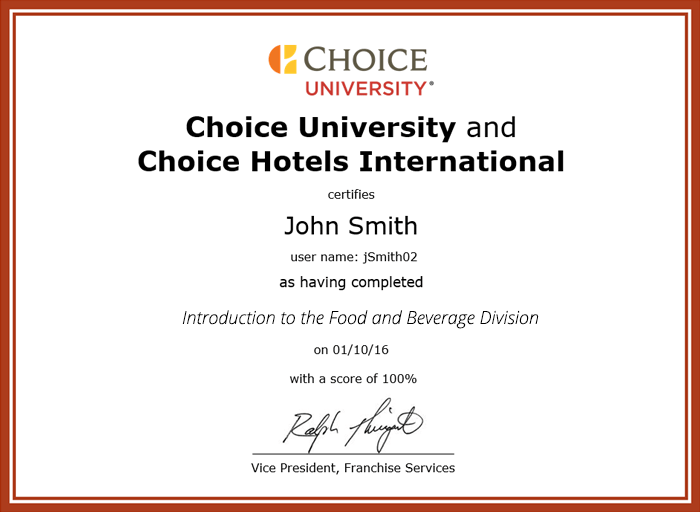 Through use of the thirty-two possible registration fields that identify key learner properties such as job title, location, brand, credentials and skills, administrators use rules to assign individual content or complete courses of study. As learners change locations and job titles, the LMS will automatically assign the correct training for the new location and job title. For example, if a learner relocates from California to Arizona and changes a job from a manager to a director, the system recognizes the change and assigns the correct curriculum for the new location and job title. For even more power, combining registration fields such as location and job title along with past scholastic achievements allows the LMS to automatically assign prescriptive learning based on what is needed at a specific organizational location. 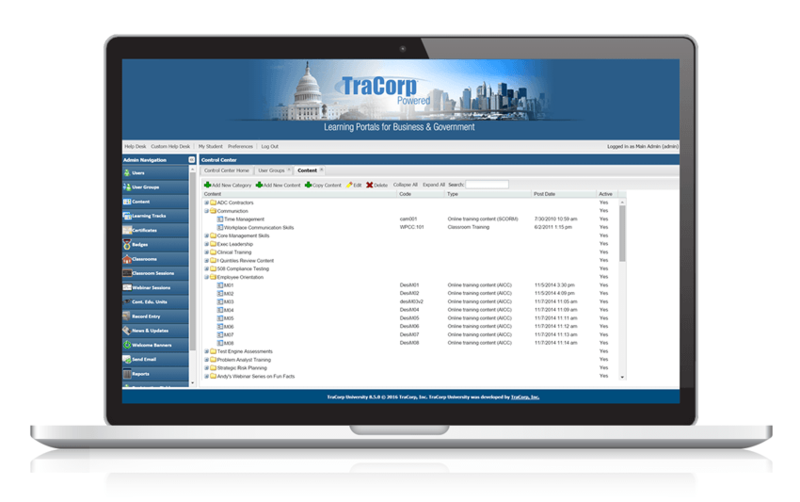 Auto-assignment rules can either be do-it-yourself or custom designed by the TraCorp help desk at no extra charge to the customer. Administrators can add an unlimited number of custom certificates to support their learning environment. Certificates are built using any rich text format (RTF) editor such as Microsoft Word® and imported into the LMS platform. Certificates pull information dynamically from the LMS database such as the learner’s name, score, and training completion date. Once a certificate is built, it can be reused again with a simple selection for multiple courses. The CEU function is used to store achievements attained by learners outside the LMS system. Many customers in the legal and healthcare industries use this function to track compliance needed to sustain licensing credentials. As a premium service, custom reporting can be automated to make learners and administrators aware of compliance status at all times. The system supports CEU entry by administrators and students if allowed by the organization. 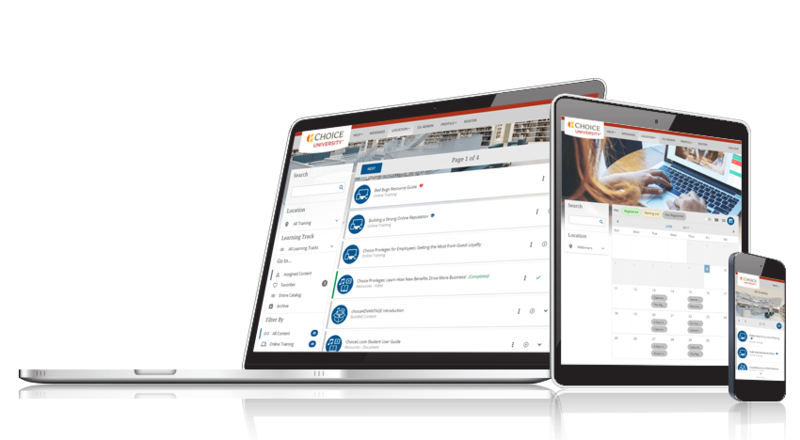 Suited to today’s complex organizations, our platform makes it simple to manage multiple entities under one LMS umbrella. Examples of customers using this feature are parent corporations and government entities that want a uniquely branded experience for the subsidiary companies and agencies. Others include multi-level marketing businesses where each downline has its own university to train customers. 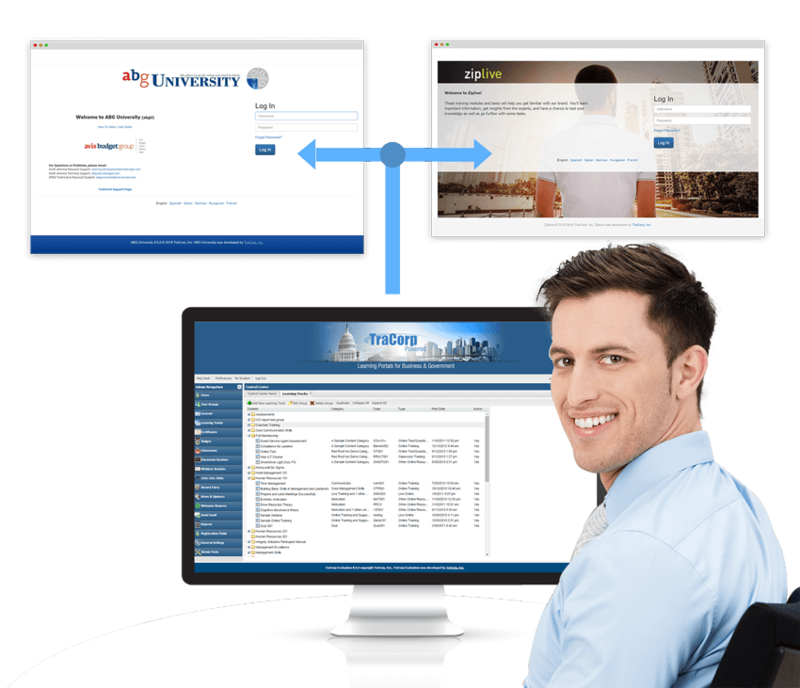 The benefit to administrators is the ability to manage an unlimited number of subsidiaries within a single LMS platform. It is the ultimate efficient model because it lowers cost and complexity while delivering a level of sophistication that is first among LMS equals. 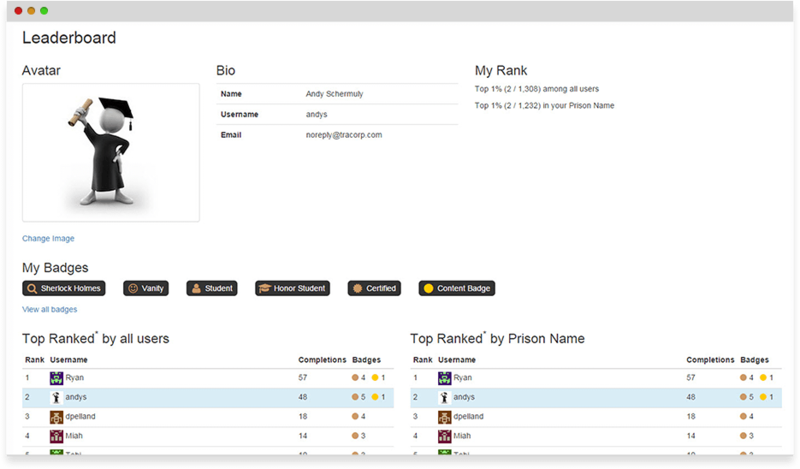 Each site can have its own branding, URL, rules, permissions, and reporting specific to the learning audience. Show Avis Budget and Zip Car Live sites with the LMS Administrative site controlling both sites.